Industrial microscopes are used for measuring, quality control, inspection and use in soldering and manufacturing processes. Each of these different industrial inspection microscopes provides a unique solution in the inspection process. 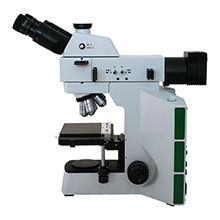 The stereo microscopes are available with built-in lights and external pipe lights. The stereo microscope on a track stand is popular for viewing small parts in manufacturing, while the boom stand microscopes are more commonly used to view larger parts. The shop microscopes are portable and light-weight handheld microscopes that can easily be carried out into the field. 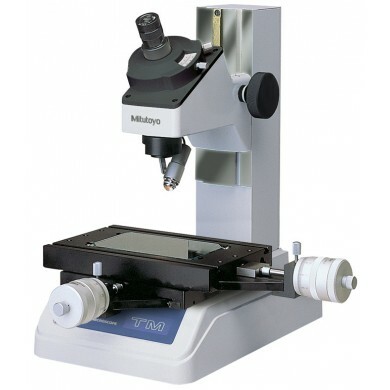 Measuring microscopes are available with digimatic readouts, as are the toolmaker's microscopes. A wide variety of calipers are available for making measurements, with vernier and digimatic options that are waterproof and coolant proof. More specialized applications include the Filter Patch Inspection microscopes, which are commonly used to examine filter patches in large machinery. Video inspection microscopes are a much less expensive alternative to the high magnification metallurgical microscopes and can provide high magnification with a camera without the need for eyepieces, thus reducing costs. Probe station microscopes, electronics inspection microscopes and wafer inspection microscopes are other examples of industrial microscopes that have been created to solve industry-specific specialized application needs.